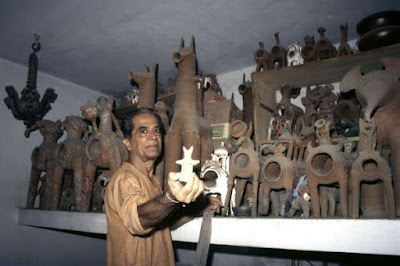 An avant-garde in more ways than one, Shah mainstreamed rural, tribal, folk art and craft by bridging the chasm between elitism and art that has often been relegated to the eponymous category of folk or subaltern tribal expressions. 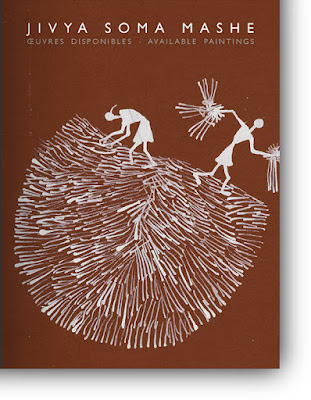 His love for folk artists and artisans evolved as part of a burgeoning movement in the 50s for the creative intersection of craft and design. One of his first assignments was at the Weavers’ Service Centre established by Pupul Jayakar near the Opera House in Mumbai. An astonishing number of artists with different terms of engagement gravitated to the centres and elsewhere — Prabhakar Barwe, Jeram Patel, Jogen Chowdhury, Himmat Shah, Gautam Vaghela, Bhasker Kulkarni, Amrut Patel and Manu Parekh to name but just a few. Also budding scenographers like Rajeev Sethi and Martand Singh. KG Subramanyan came occasionally and created stunning standalone sculptures from the fibres of handspun wool. Haku Shah thrived in this hothouse of creativity. His next assignment, a long stint with the National Institute of Design, was also not an act of artistic hubris, but was driven by the need to research tribal art and crafts, rituals and belief systems that had intrigued him for a long time. 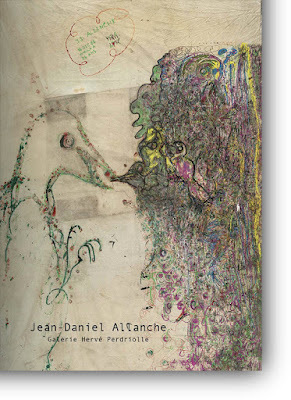 In 1978 he was appointed advisor to the Mingei International Museum at San Diego in California . "The tree is where our atma (soul) resides and if we don't take care of it, we'll all perish," says Venkat Raman Singh Shyam, who belongs to the second generation of Pardhan Gond tradition of artists from MP. 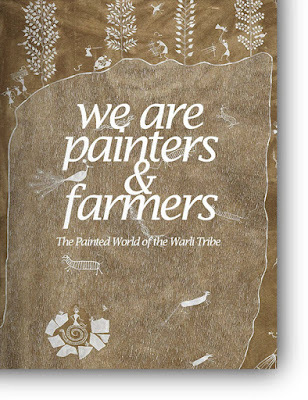 Now regarded as one of the prominent faces of tribal art in the country, the artist is as passionate about his humble upbringing as he is about mother earth. "I have grown up amongst animals, plants, rivers and birds and come from the same village which Rudyard Kipling has depicted in his Jungle Book. Nature is supreme for us," he says. 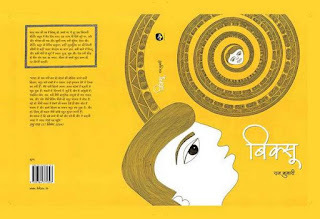 That explains why Gond art is known to be replete with imageries of nature and folklore, vividly showing the beliefs firmly entrenched in this community. Nathaniel Gaskell, co-founder and associate director of the Museum of Art & Photography in Bengaluru and Diva Gujral, PhD scholar at the department of History of Art, University College, London have co-authored Photography in India: A Visual History from the 1850s to the Present, the first in-depth survey of the remarkable story of photography in India. 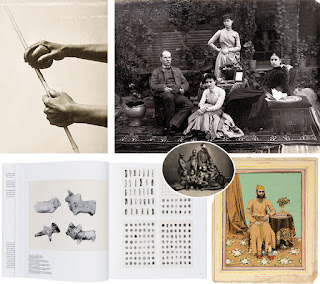 Covering 150 years and more than 100 Indian and international photographers, the book contains a wealth of previously unpublished material and lesser-known artistes. In a conversation with Forbes India, Gaskell (33) talks about the various complexities related to photography in India, and the challenges of distilling them into a book. Gujral, 54, has been quietly leading the charge when it comes to promoting South Asian art in the Indian subcontinent and globally. Over the past decade, her foundation, co-founded with her architect husband Mohit Gujral (chief executive of DLF India, son of famous painter Satish Gujral and nephew of former Prime Minister of India, Inder Kumar Gujral), has supported innumerable artists irrespective of genre or form. It has also built art-specific spaces such as Studio G Spot and 24, Jor Bagh, and has organised subcontinental exhibitions at the likes of the Berlin Biennale and Tate Modern. 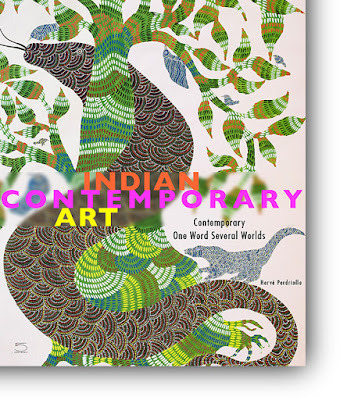 The foundation has engaged intimately with India’s bottomless artistic heritage. Gujral is on the Kochi-Muziris Biennale’s board of trustees (she also co-founded the biennale, India’s first), and is on the boards of the ­Guggenheim Museum in New York and Serpentine Gallery in London. 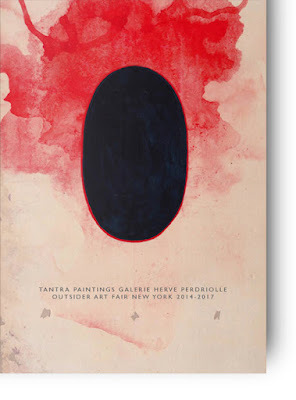 She was the force behind the V S Gaitonde: Painting as Process, Painting as Life exhibition at the Guggenheim in New York and My East is Your West, a collaborative show between India’s Shilpa Gupta and Pakistan’s Rashid Rana at the Venice Biennale, both in 2015. Her daughter Alaiia is also an artist who curates for Canvas Chicago. 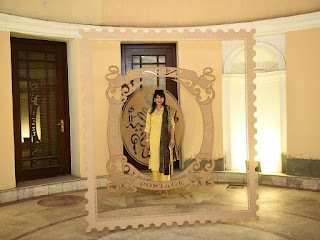 Art runs in the family, and she may well be India’s very own Peggy Guggenheim. Around 2013, Hura noticed that WhatsApp messages to his parents were becoming increasingly political. As they were sent by family and friends, his parents often took the messages at face value. 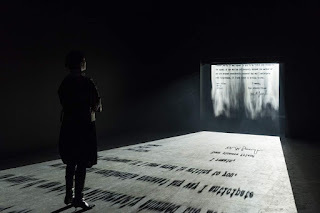 “There was credibility attached to them...this was before we had realised how political this is – and how entrenched.” The language of the messages prompted Hura to think about the underlying sense of violence in our world. Growing up in India in the 1980s and ’90s, Hura had lived through the assassinations of two Indian prime ministers, some of the bloodiest riots since Partition, cross-border hostilities and regime changes. Yet, something about the diffused aggression in the messages bothered him. He decided to start a new project to explore this feeling further. 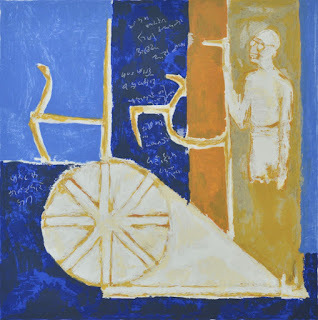 Une peinture sur papier de Jangarh Singh Shyam 50x65 cm des années 1980 a été vendue ce 29 mars 2019 par la maison de vente indienne Saffronart pour $17,757. Exposée aux Magiciens de la terre (Centre Pompidou 1989), cette œuvre sur papier avait été vendue en 2005 à Paris par Calmels-Coehn pour 800 €, puis en 2010 chez Sotheby's New York pour 3849 €. 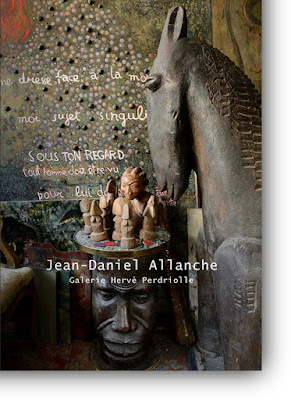 Ce nouveau record vient après la publication récente de trois livres dédiés à cette figure légendaire de l'art contemporain vernaculaire indien né en 1962 et disparu prématurément en 2001 au Japon. 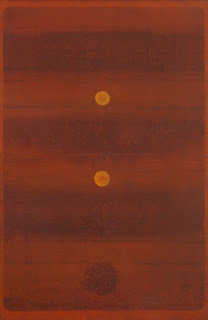 Leading the sale was an untitled 1973 work by the Indian Modernist VS Gaitonde, which sold for $3.7m, making the work the artist's fourth most expensive sold at auction. A work by Raja Ravi Varma also achieved the artist's second highest record at auction with the sale of an 1881 painting of the Maharaja of Travancore achieving $2.4m via a phone bid. Indeed, a report released earlier this year by ArtTactic says the 2018 South Asian market saw a 39.7% increase in sales of Indian Moderns (alongside a less significant increase in contemporary sales). 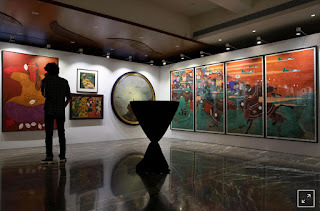 Tax authorities who are pursuing Modi in connection with the country’s largest bank fraud appointed auction house Saffronart to carry out the sale of 68 works. The sale will be challenged in court on Wednesday by lawyers for a company controlled by Modi that owns the artwork. Auctioneers say the sale, which was originally expected to raise up to $7.3 million, was the first of its kind in a country where tax authorities have usually auctioned property, gold and luxury items, but not art. “Until a few years ago, the tax authorities really didn’t know the value of art,” said Farah Siddiqui, an art adviser who advised clients eyeing Modi’s collection. The works of seven modern and contemporary artists, including Nandalal Bose and Atul Dodiya, will figure at the Indian pavilion in its second-ever participation at the prestigious Venice Biennale, which begins in May. 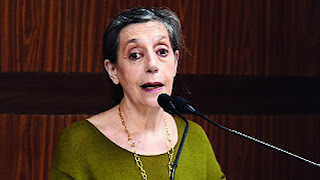 The Indian artist lineup at the 58th International Art Exhibition at La Biennale di Venezia (Venice Biennale) also includes Ashim Purkayastha, GR Iranna, Jitish Kallat, Rummana Hussain and Shakuntala Kulkarni, pavilion curator, the Kiran Nadar Museum of Art (KNMA), said in a statement. The pavilion titled 'Our Time for a Future Caring' is themed around Mahatma Gandhi. It will form a part of India's ongoing programme celebrating his 150th birth anniversary. 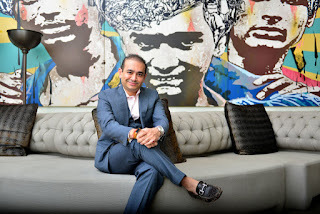 The Indian businessman and art collector Nirav Modi, who has been on the lam for his alleged connection to a multi-billion-dollar fraud, was arrested yesterday in London. Meanwhile, the fugitive’s art collection is being auctioned off on behalf of India’s tax recovery office in a bid to recover some of the $2 billion the tycoon is accused of scamming from a state-owned bank. One of India’s most-wanted men, Modi is the number one suspect sought in connection with a $2 billion fraud that rocked the Punjab National Bank last year. Modi was named Indian’s 85th richest man by Forbes in 2017, with the magazine estimating his net wealth at around $1.3 billion. 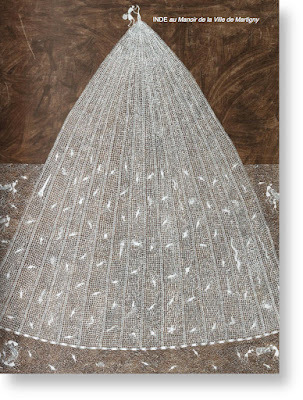 The diamond mogul is known for decking out celebrities including Kate Winslet and Naomi Watts in his designs, which he has said are influenced by great works of art. 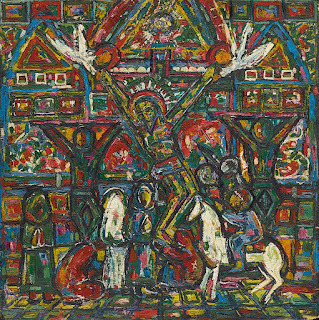 His art collection, assembled over 20 years, is valued at around $5 million. Since 2009, Trimukhi, in association with other organisations, comes up with an annual event, known as the Night of Theatre. 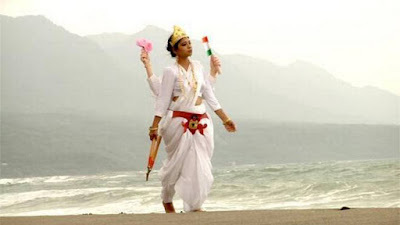 Every year, choreographers, intellectuals, farmers from different countries — including Spain, France, Mexico and Japan — congregate in the village of Borotalpada to create, practise and explore contemporary art such as theatre, sound and video installations. When I meet Chevallier at his south Calcutta residence, the 2019 Night of Theatre is still a month away, but he shows me some videos from the previous years. 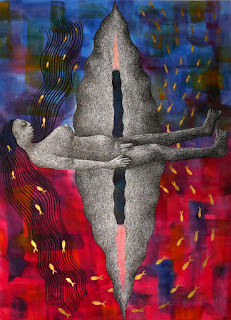 Born in West Bengal in 1937, 10 years before the Partition of India, Arpita Singh is now widely considered one of her country’s premier contemporary artists. Her oil paintings and watercolours are renowned for the tantalising stories they tell, often from a female perspective. ‘She’s the standard-bearer for narrative art in India today — a narrative tradition that dates back centuries to miniature painting,’ explains Nishad Avari, Indian art specialist at Christie’s in New York. 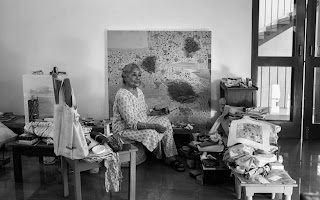 ‘She’s undoubtedly the standard-bearer for women artists in India, too.’ Now in her eighties, Singh is currently the subject of a major retrospective at the Kiran Nadar Museum of Art in Delhi (until June 30). 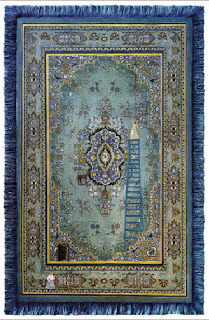 Her work can also be found in the collections of institutions worldwide, including the V&A in London and Peabody Essex Museum in Salem, Massachusetts. 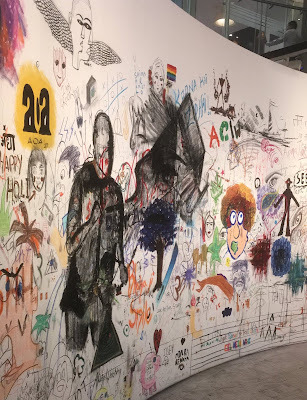 A crossover genre with multiple influences, performance art continues to be intriguing, strange and full of surprises as it increasingly occupies more space in the arts arena in the country. Often immersive, amusing and rooted in radical acts, performance art is still considered relatively nascent in the Indian contemporary art scene. It eludes definition and sometimes baffles the public, leaving them wondering about what can really be called art. It also indicates the changing relationship between the spectator and artist into a participative and interactive one, going beyond gallery spaces and seeking new venues. 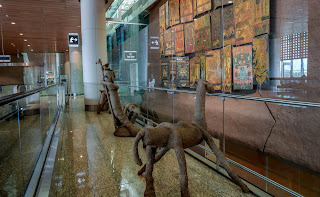 Mukeeta Jhaveri, who lives in Mumbai and advises companies and private collectors on art purchases and cultural philanthropy, said that the airport’s collection stood out among both India’s museums and other public art installations at airports around the world. "Even when I am rushing through the corridors, there is such a wonderful sense of both discovery and also that of meeting familiar friends.” About 25 percent of the passengers that pass through the airport are blue-collar workers travelling to and from jobs in the Middle East, and the museum very deliberately sought to include Indian crafts along with contemporary fine art. 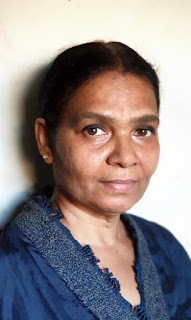 Sheela Gowda has been awarded the 2019 Maria Lassnig Prize, which is given biennially by the Maria Lassnig Foundation. 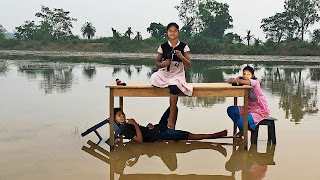 Gowda is the second artist to be granted this prize, which comes with €50,000 (about $56,300) as well as a solo exhibition at an affiliated institution, which for Gowda will be the Lenbachhaus museum in Munich, Germany. The prize, which is awarded to a mid-career artist, was conceived by Lassnig just before her death in 2014. You could easily pass through the most sprawling art museum in India without realizing you had even been there. Scattered throughout the four levels of Terminal 2 of Mumbai’s international airport are more than 5,500 pieces of Indian art and handicrafts, including tribal totem poles and a 3-D map of Mumbai built from recycled chips and circuit boards. 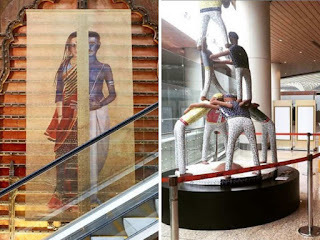 Together they make up the Jaya He, GVK New Museum. The X-shaped, ultramodern terminal handles all international and many domestic flights for the country’s commercial hub. So it is foremost a working airport, and the 50 million people who come through every year are there for one primary purpose: to get to and from their airplanes. “There is anxiety built in,” said Rekha Nair, who oversees the museum and customer experience at Chhatrapati Shivaji Maharaj International Airport. “People think, I just want to get to the gate.” As a result, the art is tucked into the hallways, baggage carousels and check-in counters so as to avoid disrupting the movement of passengers and the nearly 30,000 people who work at the airport. Angelic figures perch above the elevators. Treelike sculptures stand sentinel over the luggage belts. A mural accompanies passengers up the escalator after they step off the arrivals bus. At Sotheby's upcoming sale of Modern and Contemporary South Asian Art to be held in New York on March 18th, 93 paintings representing 56 artists will go under the hammer. This is a major leap from last year when around 70 lots were sold. 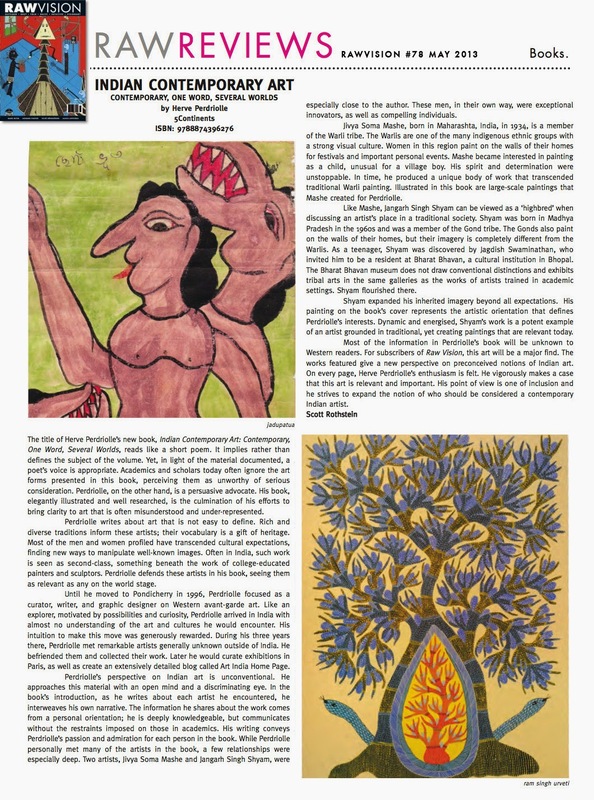 Says Anuradha Ghosh-Mazumdar, Head of Department, India and Southeast Asian Art, New York, Sotheby's, "Having 56 artists is quite a record for us as well." The artists include FN Souza, MF Husain, SH Raza, Jagdish Swaminathan, Ram Kumar, Jogen Chowdhury, Jamini Roy, Zainul Abedin, among others. An online quick guide well illustrated. With an aim to explore the impact of French milieu on the Indian art today, Alliance Française de Delhi under the Back from France series, has announced Living Outlines, an exhibition addressing violence, politics and cultural memory in our times. 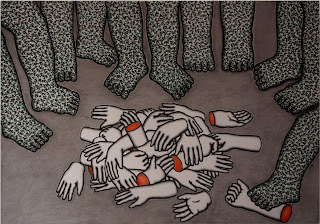 The solo-exhibition titled Living Outlines, featuring seven seminal works of the Indian contemporary artist, includes Reji Arackal as the second name for the Back from France series. 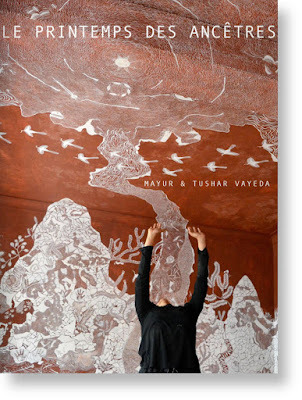 The series holds two solo exhibitions of two different artists every year in order to provide a platform to deserving young Indian artists who have returned from France after a stay of more than six months and now continue their practice in India. In 2011, India announced that it would participate in the Venice Biennale for the first time in the art event’s storied, 116-year history. Art critic and curator Ranjit Hoskote was tasked with producing a national pavilion. It was titled “Everyone Agrees: It’s About To Explode". The exhibition, like the theme, was tentative. 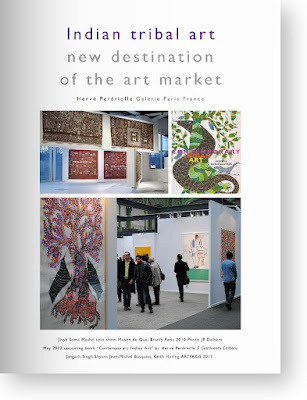 After this late arrival to the global art party, India was a no-show in the next edition in 2013. 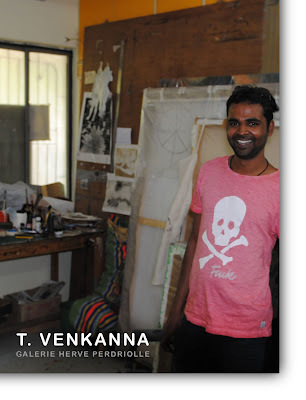 Indian artists have been occasionally invited to participate in the Biennale’s other sections, and this continued to happen. 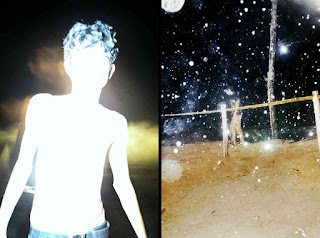 In 2013, for instance, the German pavilion showed the works of photographic artist Dayanita Singh; the idea was to question the basis of identity. Speaking to me later, Singh said that even as she received praise for her work, she felt “a little bit ashamed". It isn’t that Singh is easily shamed. It is that countries like Angola, Azerbaijan, Georgia, Bangladesh and Maldives have all had national pavilions. 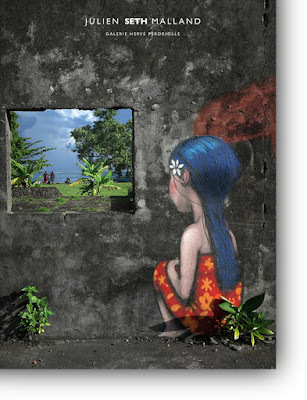 Even the tiny island nation of Tuvalu, forecast to be one of the first countries to disappear due to rising sea levels, put forward its first national pavilion in 2013 to highlight the effects of global warming on the island. India was absent in the next two editions as well, although Delhi-based art patron Feroze Gujral sponsored an unofficial joint India-Pakistan pavilion in 2015. The messaging of India’s sophomore appearance is loud and clear—we’re playing Gandhi, our trump card. It is in keeping with UK-based curator Ralph Rugoff’s overall theme for the Biennale this year, “May You Live in Interesting Times", which considers the role of art in response to the current political climate, especially in the context of fake news and alternative facts. 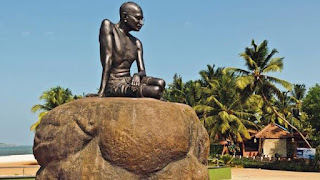 Given the theme for the India Pavilion, it is interesting that both Pakistan and Ghana will make their debuts this year—as recently as December, a statue of Gandhi was pulled down at the University of Ghana campus following protests against his racist views. How do you link photography and performance? Lithuanian-American visual artist George Maciunas scavenged prom dresses from the Salvation Army and thrift stores, and wore them to enact and photograph his own striptease performance in 1966, as a comment on gender indeterminacy. Chinese artist and activist Ai Weiwei channelled his mockery and disdain for historic monuments and nationalist pride in a photo series called "Study of Perspective" by pointing his own middle finger against a backdrop of iconic landmarks. Iranian photographer Azadeh Akhlaghi meticulously reconstructs in her images episodes of executions, assassinations, suspicious deaths and torture from Iran's modern history to portray events for which no photographs exist. For Delhi-based contemporary artist Shine Shivan the word yashtimadhu assumed the seriousness of a lived reality, a performative subject, an art project and a life's mission. Baroda’s MSU has remained one of the top choices for those looking to expand their artistic horizons. The university’s art faculty has produced veterans like Gulam Mohammed Sheikh, Nasreen Mohammedi and Laxma Goud among other stalwarts who elevated the Indian art scene to new levels. 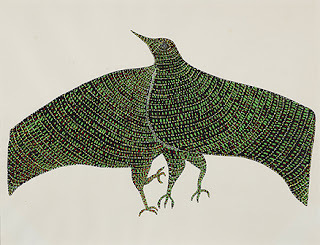 The Baroda Group—a significant collective of artists which included doyens like Jyoti Bhatt, N.S. Bendre, K.G. Subramanayan and many more—is also respected worldwide for its genre-breaking achievements. The MSU gained its university status in 1949 and its arts faculty came into being the following year. But Baroda’s history of art goes way back to 1881. In this year, the College of Science—what is now the MSU—was founded. At the same time, Maharaja Sayajirao Gaekwad III invited the well-known painter Raja Ravi Varma to Baroda. Varma produced a considerable quantity of works here, which are now on display at the Baroda Museum, located across the road from the university. PHOTO : JIVYA SOMA MASHE FISHNET 2013 ACRYLIC AND COW DUNG ON CANVAS 160X140 CM (DETAIL). 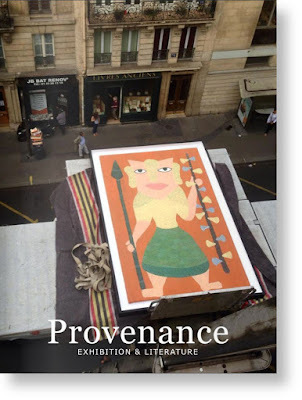 Cette newsletter permet de suivre l'actualité de l'art contemporain indien à travers une revue de presse internationale régulièrement mise à jour. Depuis 2008 plus de 2.000 articles répertoriés et 160.000 pages vues. 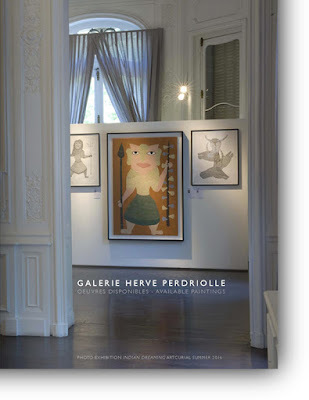 This newsletter posted by Hervé Perdriolle in October 2007, tracks the news of the Indian Contemporary Art through an international press review regularly updated. Since 2008 more than 2.000 press articles listed - 160.000 pages viewed. 1996-2016 Vingt ans de passion, de travail et de recherche en Inde. 1996-2016 Twenty Years of Passion, Work and Research in India.